Understand your dog better and learn how we can help you communicate with your dog. A few small changes can make a massive difference. From puppies to problem dogs and everything in between. Find out for yourself why we deserve our excellent reputation. Our clients love us! You know your dog's aggression is a serious issue. We offer specialist solutions that others only promise, with a decade of experience in helping dogs like yours. Avoid those puppy pitfalls and enjoy a happy, obedient, well behaved puppy. Whatever your dog training or dog behaviour needs, CSI have a package that will see you get the training your dog needs, at a price that you can afford. From puppies to problem dogs and everything in between, CSI is the smartest choice you will ever make for your dog. Results oriented – dogs love it! We are great at what we do, our clients love working with us and we have the answers and help you need. Even if your dog has serious behaviour problems, we have a service to suit everybody and every dog. Canine Services International is a professional dog training and dog behaviour consultancy based in Melbourne and delivering services throughout Australia. We are passionate about dog training and canine behaviour, and after almost a decade working as professional dog trainers we remain, now more than ever, committed to providing great results for our clients and their dogs. We are passionate about dog training and canine behaviour. As well as dog training and canine behavioural solutions we deliver a broad range of other services including industry leading dog bite prevention programs, seminars and workshops, specialised dog training, and educational programs to suit government agencies, law enforcement, sporting groups, business, industry and of course, pet dog owners. 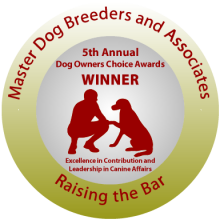 We frequently train the dogs that other clubs and trainers turn away – and we’re darn good at it too. Our extensive background in service type dog training means we can help you train to get the best out of your dog, regardless of breed, age or temperament. Our experience at raising, developing and training puppies for working roles means we know what it takes to train confident, happy, calm and self-assured dogs. Puppies, pet dogs, performance dogs or problem dogs, we deliver results. Our clients often comment on how easy they find it to get so much more out of their dogs and puppies with a little help from us! We are often consult for other dog trainers and dog behaviourists on these issues, making our dog training and behavioural services the smart choice for any dog – especially those with serious behavioural issues including aggressive, fearful, anxious or ‘difficult to train’ dogs. Over almost 10 years we’ve earned ourselves a respected reputation within the dog training and behaviour industry for successfully working with the most difficult of problem dogs, and a large part of our work is training or treating dogs with dog aggression, biting dogs, and other aggression, fear and anxiety related issues.